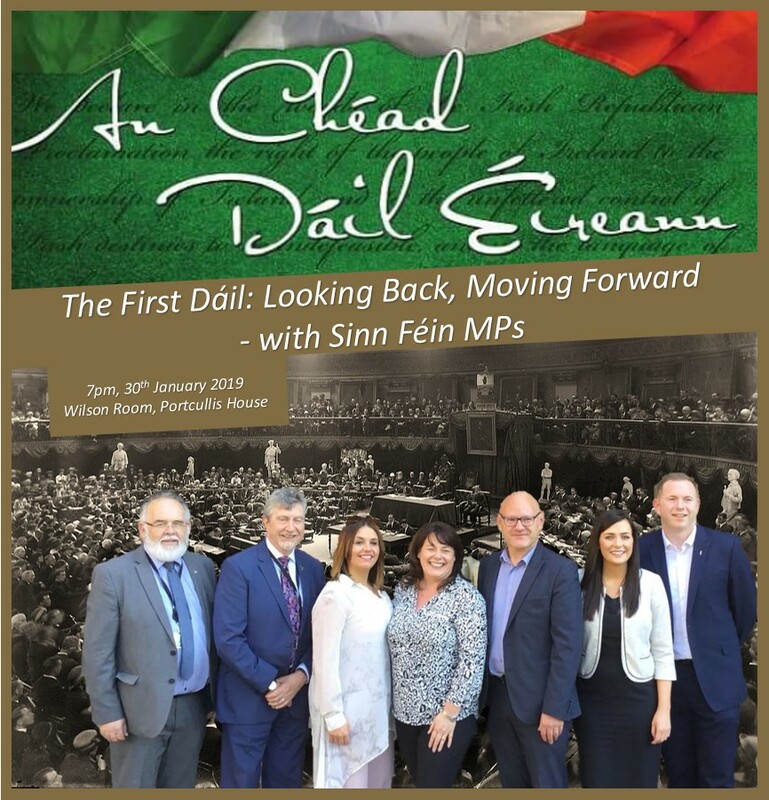 Sinn Féin MPs will be commemorating the centenary of the First Dáil with an event in the London on 30th January 2019. The meeting of the First Dáil Eireann in 1919 was an unequivocal act of national self-determination for the Irish people. It followed the landslide election victory for Sinn Féin in December 1918, which was an overwhelming endorsement of the desire for an independent and united Ireland. The Irish Republic established 100 years ago was based on the proposition that the Irish people are sovereign and that the public right and welfare comes before the interests of private profit and property. Never was that principle of the Democratic Programme needed more than it is now!